We finally earned our first milk quality award from our cooperative. 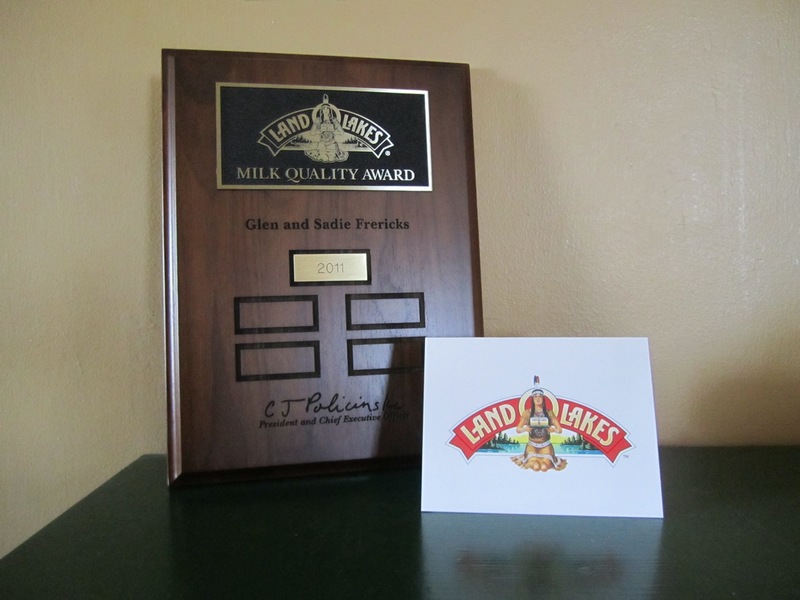 Our milk quality has been good for several years, but we always fell a little short of earning a milk quality award. In 2011, our milk quality was finally consistent enough to earn an award. For us, a milk quality award is the highest honor a dairy farmer can receive. So many facets of the farm – nutrition, cow comfort, cow cleanliness, herd health, reproduction – must be well-managed for cows to produce high quality milk. Nothing says more about our commitment to caring for our cows than earning a milk quality award.